Hope India NGO into international social welfare as well. Building a society is equivalent to building a strong nation. 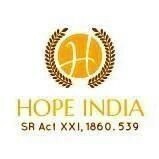 Hope India NGO now dealing in international social welfare as well. Recently team of Hope India — NGO, has referred the case of Mr. Ben Wimbush who is the resident of Manchester — UK to Honorable Prime Minister of United Kingdom — Theresa May. As the result of this — Mr. Ben has been connected officially to delegates. Mr. Ben Wimbush is going through Spinal Cord Injury & living his life with lot of struggle. He would like to create strong awareness system to prevent such medial situation in human life. He is the inspiration for many lives and making the benchmark as he continuously involved in so many awareness camps across the UK. He is having dream to help & encourage ‘disabled and Spinal Cord Injured’ people at global level through awareness campaign. This initiative is the greatest foundation towards society development. HOPE INDIA is a grassroots non-governmental organization founded in 30.12.2014 by service minded and dedicated youth in the state of Bihar & Jharkhand. Focused towards social and economic development, prompted a team to start this organization to address unmet needs in the community. The NGO is registered under the society registration act XXI, 1860. To improve the quality of life for oppressed, disadvantaged, and marginalized peoples. To provide support, build capacity, and integrate individuals into mainstream society who have traditionally been suppressed in personal, social, economic and political domains. Hope India NGO majorly dealing in ADVOCACY, EDUCATION & TRAINNING, RIGHT TO INFORMATION, RIGHT TO EDUCATION, GENERAL/LEGAL AWARENESS COMPAIGN, HUMAN RIGHTS, WOMEN EMPOWERMENT AND RIGHTS, CHILD LABOUR, VIOLATIONS OF LABOUR LAWS, CORRPUPTION AND IRREGULARITES ISSUES, HEALTH AND ENVIORNMENT REALTED AWARNESS. a)To fight against exploitation, injustice and corruption if found against any individual, class, community in the society. b)To educate the people for adoption of the good norms of a good citizenship and to inculcate into the people’s mind, ideals of national unity. c) To work for uplifting the status of women in the society. To work against female circumcision and to fight against the victimization of girl /women by anybody in the society on female circumcision or any other related issues. d) To propagate the need for tree plantation / pollution control and environmental awareness. e)To help and generate training programme for self employment of women and educated unemployed people and to work for adult education. f) To create the means for providing medical assistance to the people suffering from diseases, especially for helpless people. g) To provide help under health & nutrition services for women and children. h) To establish library and reading rooms in needy communities. i) To create Training/education centre and health centre. j) To publish newspaper, magazine, journals and to reproduce works of arts, literature, science, crafts and other allied works/collections of works of arts for instruction and imparting useful knowledge. k) To provide help/shelter/facilities for old people, children and disabled persons for their welfare. l) To organise forums, seminars, camps etc for spreading good living habits, moral values, Ghanaian culture, and methods of developing self confidence etc and to create centres throughout the country for the above activities. m) To work for uplifting poor rural/village people for their overall development. n) Provide scholarship/Financial help to poor rural/village people for their overall development. o) To provide help to people suffering from Natural calamities such as flood, Earthquakes, motor accidents etc. p)To provide free legal advice to poor people. q)To create awareness among the people regarding AIDS etc. r)To educate people against taking drugs and Alcohol. s) To arrange land, building and other facilities for running school/college institution/Library etc. t) To raise funds through collection, donation or subscription and other means and invest money or incur expenditure in such manner as shall promote the attainment of aims and objectives of HOPE INDIA. u) To undertake any other work or assignment which may be for the general welfare of the people? As Hope India Team is the mixtures of dynamic people across the India, which has majorly leading by professional people like Mr. Arun Tripathi as a Secretary — A mechanical engineer and Mr. Chandrasekhar Galgale — as a Principal Advisor.